ICAST 2015 Best of Show Baitcast Combo Award Winner. The Mach I baitcast outfit delivers as promised, serving up many top features that are rare for its under $150 price. Fishing industry peers concurred with the assessment, selecting the Mach I for "Best Combo" honors at the 2015 ICAST fishing tackle industry tradeshow. 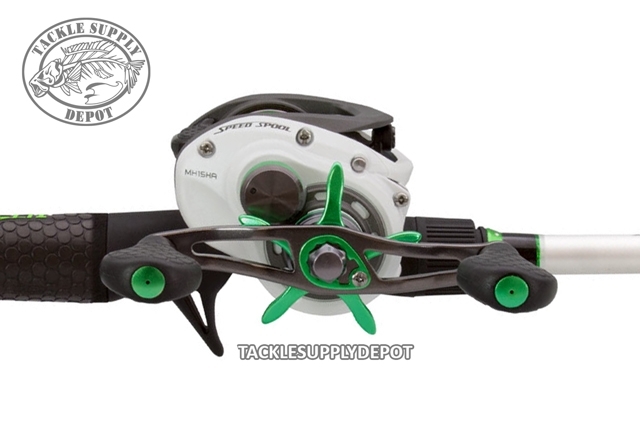 Featuring a one-piece lightweight graphite frame and sideplates which houses a premium 10-bearing system with stain less steel double-shielded ball bearings and Zero Reverse one-way clutch bearing for perfect smoothness. A durable Rulon drag system provides up to 15 lbs. drag power. 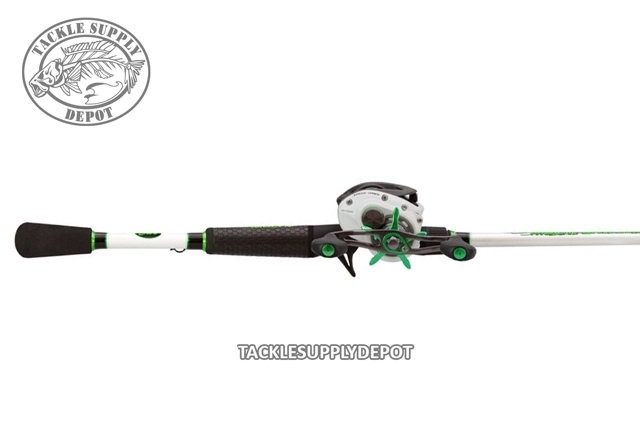 The rod is a one-piece IM8 graphite blank with Nano technology and features Lew's exclusive SoftTouch graphite skeletal reel seats as well as durable high density EVA foam split-grips.